Johto and Unova this week! Today the Pokemon Center has added all the Johto plushies released in Japan back in December. 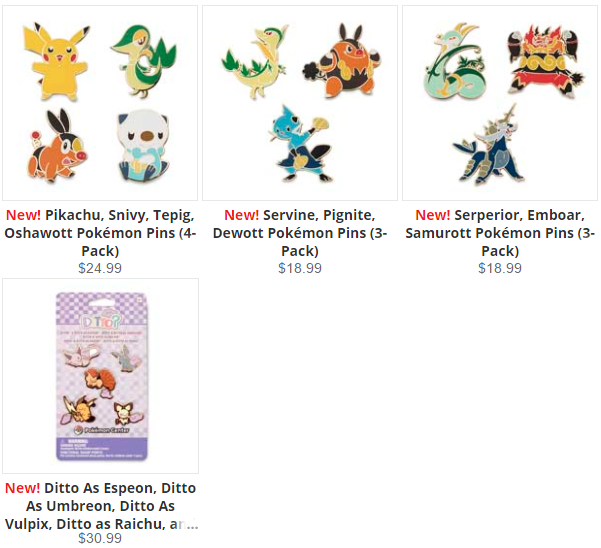 They also added 5th gen starter pins and a set of Ditto pins! Something interesting to note, it appears that the US Slowking doesn't come with a gemstone on its forehead like the Japanese plush. The page says it has "a red metallic ornament on its crown-like head" but the gemstone is noticeably absent from the pictures.